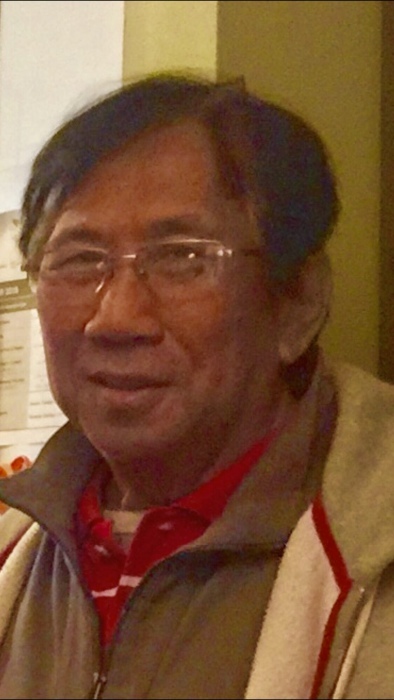 Oscar Tardio Moreno, 74 of Bayonne, entered into eternal life on February 2, 2019 at Jersey City Medical Center. Born in Lubang, Occidental Mindoro, Philippines, he lived in Bayonne for the past 6 months. He is the beloved husband of Zenaida, cherished father of Hazel A. Moreno Arabit & her husband, Joselito, Lloyd A & his wife Jasmin, Ralph A. & Tintin Moreno & John Luis A. Moreno, loving brother of Luzviminda Besa, Elizabeth Moreno & Rosie Moreno. He is also the proud and loving grandfather of Juan Miguel & Gabriel Moreno & Joelle Marie Arabit. Visitation will be held on Friday, February 8th from 5:00 p.m. to 9:00 p.m. at the Zuasola-Grillo Filipino Funeral Service, 44 Bay Ave., Bloomfield, NJ. Relatives and Friends are invited to attend the funeral on Saturday, February 9th at 9:00 a.m. from the Funeral Home, thence to St. Anthony Church, Belleville for a Funeral Mass at 10:00 a.m. Cremation will take place privately.